Giving a purposive interpretation to Section 14(3)(c) of the Specific Relief Act 1963,the Supreme Court has held that the said section does not bar a developer from seeking specific performance of development agreement against the owner of the property. The appellant before the Supreme Court was a developer, who had entered into a development agreement with the respondent to make constructions in the respondent's plot. On disputes arising between them, the appellant instituted suit for specific performance of the agreement. However, the suit was dismissed by the trial court on ground that Section 14(3)(c) of the Specific Relief Act barred such suit. The Calcutta High Court upheld the dismissal in appeal, and the matter reached the Supreme Court at the instance of the developer. (c) the defendant is in possession of the land so that the plaintiff cannot employ another person to build without committing a trespass. Both the trial court and High Court held that Section 14(3)(c)(iii) specifically mentioned defendant being in possession of land as a pre-condition to order specific performance. However, in the instant case, the defendant was the owner of the land himself, who was already in possession. Therefore, it was held by the trial court as well as the High Court that the provision did not contemplate a developer seeking specific performance of contract as a plaintiff. The issue before the SC was 'whether the word “defendant” in Section 14(3)(c)(iii) has the effect of confining the scope of the suit for specific performance only to a particular class (consisting of owners) or whether a purposive interpretation to the legislation would be required, so as to provide a broader set of remedies to both owners and developers'. The Court noted that in various other categories of development agreements, the developer may have acquired a valuable right either in the property or in the constructed area. "An essential incident of ownership of land is the right to exploit the development, potential to construct and to deal with the constructed area. In some situations, under a development agreement, an owner may part with such rights to a developer. This in is essence is a parting of some of the incidents of ownership of the immovable property. There could be situations where pursuant to the grant of such rights, the developer has incurred a substantial investment, altered the state of the property and even created third party rights in the property or the construction carried out to be carried out", the judgment observed. Reference was made to the Bombay High Court decision in Chheda Housing Development Corporation v Bibijan Shaikh Farid, which had held that development agreements which creates an interest of developer in the property could be specifically enforced. Also was referred the decision of Bombay High Court in Della Developers Private Limited v Noble Organics Private Limited, which was authored by Justice Khanwilkar(as he was then in Bombay HC), holding that development agreement can be enforced only on fulfillment of three conditions in Section 14(3)(c). 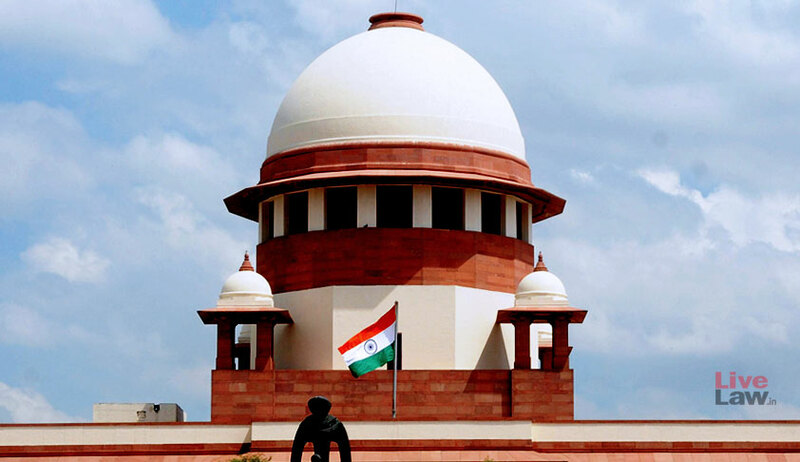 The SC also took note of Full Bench decision of Calcutta High Court in Ashok Kumar Jaiswal v Ashim Kumar Kar which held that a right to seek specific performance of a development agreement is not barred either expressly or by necessary implication by the 1963 Act and a broad interpretation should be given to allow an adequate remedy. The SC observed that "If the rule of literal interpretation is adopted to interpret Section 14(3)(c)(iii), it would lead to a situation where a suit for specific performance can only be instituted at the behest of the owner against a developer, denying the benefit of the provision to the developer despite an interest in the property having been created"
"By giving a purposive interpretation to Section 14(3)(c)(iii), the anomaly and absurdity created by the third condition will have no applicability in a situation where the developer who has an interest in the property, brings a suit for specific performance against the owner. The developer will have to satisfy the two conditions laid out in sub clause (i) and (ii) of Section 14(3)(c), for the suit for specific performance to be maintainable against the owner. This will ensure that both owners and developers can avail of the remedy of specific performance under the Act. A suit for specific performance filed by the developer would then be maintainable. Whether specific performance should in the facts of a case be granted is a separate matter, bearing on the discretion of the court". However, coming to the facts of the case, the Court held that the other two conditions in Section 14(3)(c)(i) and 14(3)(c)(ii) were not fulfilled. The first condition that the building or other work described in the contract is sufficiently precise to enable the court to determine the exact nature of the building or work was found to be unfulfilled. The agreement was found to be vague, disabling the court from determining exact nature of work. The other condition under Section 14(3)(c)(ii) that the plaintiff has a substantial interest in the performance of the contract and the interest is of such a nature that compensation in money for non-performance of the contract is not an adequate relief, was also found to be unfulfilled. It was found that the alleged losses/damages incurred by the Plaintiff can be quantified. The Court also adverted to the fact that Specific Relief Act was amended in the 2018 monsoon session, making development agreements specifically enforceable. However, the amendment, brought into effect from 01.10.2018,was not applicable to the instant case. The appeal was therefore found to be without merits. No monetary compensation was awarded as the appellant had not made any such alternate prayer.